News | Laser Spectacles, Inc.
We were contacted by HeyWire, a company from Boston that produces free world wide text messaging, to add lasers to an event they were hosting at SXSW (South by Southwest music convention) in Austin, TX. We projected live text messages, logos, and lasers at a party inside on 6th Street March 13, 2011. 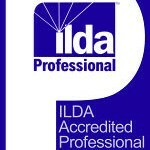 Laser Spectacles, Inc. applied for and achieved recognition last September as an ILDA Accredited Professional Lasershow Company. ILDA (the International Laser Display Association) developed this program as a way for member companies to distinguish themselves professionally.